“Wakusei (Planet) Robo Danguard Ace” is a 56 episode TV series released from 1977 through 1978, created by Leji Matsumoto (original creator of “Captain Harlock”, “Galaxy Express 999”, and “Queen Millennia”). There are also two 25-minute movies; “Planet Robo Danguard Ace Vs. 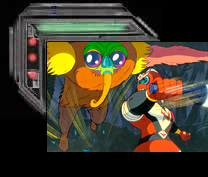 The Insect Robot Army”, released in 1977, and “Planet Robot Danguard Ace: Space Naval Battle”. released in 1978. “Danguard Ace” was later dubbed into English and released as part of “Force Five”, a weekday cartoon show made up of five different Japanese cartoons. 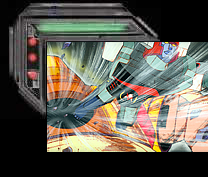 Unlike the more widely distributed “Robotech”, “Force Five” kept its series separate; each maintaining its own storyline. In the near future, a planet, Promete, will be discovered in our Solar System; having an orbit of extreme inclination relative to the Earth’s ecliptic plane. Unpopulated and untouched by mankind, this new world offers a vast wealth of natural resources desperately needed by our polluted planet. An expedition is put together by Dr. Oedo, led by Col. Dantetsu Ichimonji, to explore Promete. However, on launch day there is a terrible “accident”. The mission is thwarted by the xenophobic Dr. Doppler, who seeks to control Promete and populate it with his own superior, “Selected Ones” as colonists. 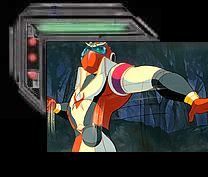 Ichimonji, controlled by Doppler, kills his fellow astronauts and disappears. 10 years later, seeking to clear the stigma of “traitor” from his father’s name, Dantetsu’s son, Takuma, under the tutelage of the mysterious, masked, Doppler defector, Captain Dan (Gee, I wonder who that could be?) is an enlisted pilot, training at Dr. Oedo’s new research facility. Oedo is building a space battleship, the Jasdam; as well as the Satelizer, a fighter plane that transforms into the giant humanoid robot, Danguard Ace; to stand against Dr. Doppler and his evil army of mind-controlled warriors and monstrous Mecha-Satans. “Danguard Ace” is a cool kids action show from the late-1970s. 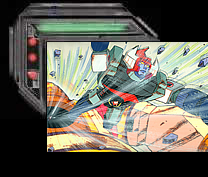 What it lacked in animation frame rate, it made up for in some skillfully edited fights; bold, primary colored style; and detailed shiny robots.